Welcome to the new source for fire service information. Please correct your bookmarks or shortcuts. Changes will be made and your feedback is appreciated. 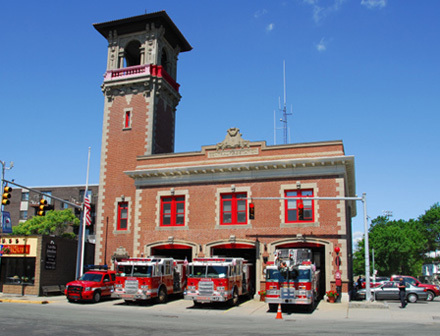 Revere Mass., Fire Station #1. Photo by Ben Saladino. they contacted us and permission was granted. Seventy-three percent of career firefighters are in communities that protect a population of 25,000 or more. Ninety-five percent of the volunteers are in departments that protect a population of less than 25,000 and more than 50% are located in small, rural departments that protect a population of less than 2,500. Contents of this site copyright © 2011 by the many contributors. 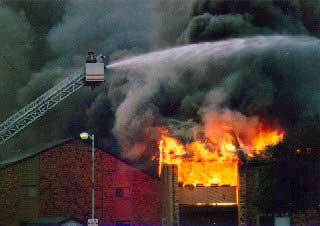 Fire Service History, Trivia, Terminology, Tactics, Training and More!